1891 Granville died; the Granville title was inherited by his eldest son. The couple had had one other son and two daughters. GRANVILLE GEORGE LEVESON-GOWER, second Earl Granville, who died at the residence of his nephew in South Awlley Street, London, on the last day of March 1891, was born in 1815, the year in which his father was raised to the peerage. The first Lord Granville, a younger son of the Marquis of Stafford, had been a diplomatist of considerable distinction. In 1804 he had gone to St. Petersburg on a similar mission to that which subsequently was to be confided to his son, and had attended the coronation of Alexander as our Ambassador Extraordinary. In 1836 he was Minister at Paris, and his son, who had been educated at Eton and Oxford, was attached for a time to the legation. But the actual apprenticeship that the young man served to regular diplomacy was a short one; and in 1837 he was returned to Parliament as member for Morpeth. Three years afterwards he was appointed to the office of Under-Secretary for Foreign Affairs; but in a short time afterwards the Melbourne Ministry was broken up. Having lost his seat for Morpeth, in 1841, he came back to the House of Commons as representative for Lichfield, and made himself somewhat conspicuous for the vigour and ability with which he advocated the cause of the Anti-Corn Law League and the principles of Free Trade. Five years later, on the death of his father, he took leave of the Commons. At a later date he was made Master of the Buckhounds, a post that seemed admirably suited to one who, notwithstanding his spirited speeches on Free Trade, had been chiefly thought of as a graceful courtier and a polished man of the world. In 1848, Lord John Russell transformed the Master of the Buckhounds into his President of the Board of Trade, which caused Mr. Bright to speak the mind of the manufacturing interest with more than his accustomed bluntness in making a far-fetched charge of Nepotism against the Premier, but Lord Granville made a good impression at the Board of Trade, although yet a young man. As a clear-headed and energetic man of business he gave proof of those versatile abilities which marked him out a year or two later as Vice-President of the Commission for the International Exhibition. In that capacity his geniality and his business powers won him golden opinions from all conditions of men. His closer relations with Her Majesty and the Prince Consort confirmed, if they did not originate, the warm personal regard which those illustrious personages always expressed for him; while foreign exhibitors, and especially our French friends, were never weary of praising the unfailing courtesy and the winning polish of manner they were so well fitted to appreciate. Perhaps few things did more to foster the entente cordiale which was to exercise so important an influence in European politics than the manner in which Lord Granville represented his country at the fetes offered to the English Commissioners by the Paris Municipality in honour of the Exhibition; and in particular his speech at the banquet of the Hotel de Ville was much praised as a triumph of oratory by an audience which he flattered by his ready command of their language. 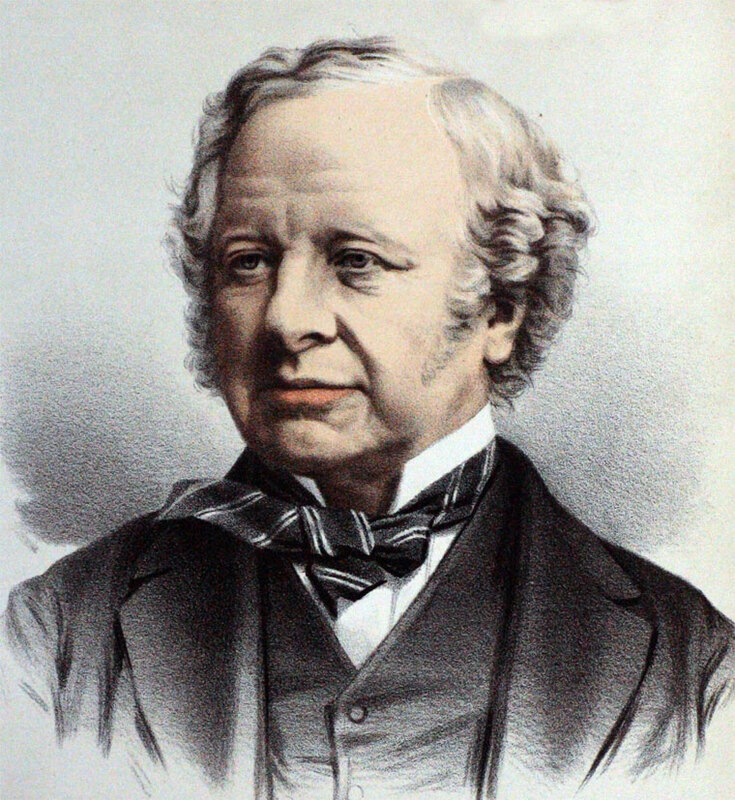 In 1859, after he had had a short preliminary experience of the Foreign Office, the Queen sent for Lord Granville on the fall of Lord Palmerston. Lord John Russell, however, declined to serve under Lord Granville, and this fact solved the difficulty. Meantime his Lordship became Chairman of the Royal Commission of the Exhibition of 1862, and three years later he was appointed Lord Warden of the Cinque Ports. In 1870, on the death of Lord Clarendon, he became Foreign Secretary, and he held that office until Mr. Gladstone dissolved in 1874. He again filled that important post from 1880 to 1885, and subsequently, in two different administrations, he held the office of Colonial Secretary. For nearly half a century Lord Granville led his party in the House of Lords with imperturbable temper, unfailing tact, and ever-ready wit. His geniality and conciliatory disposition helped to tide over the conflict between the two Houses which seemed to be rendered inevitable by the party strife over the Reform and Redistribution Bills. He retained his position as leader in the Lords to the close of his life. When Mr. Gladstone returned to office as a Home Ruler, he was followed by Lord Granville, but he did not replace Lord Granville in the Foreign Office, which he assigned to Lord Rosebery, a rapidly rising statesman of a younger generation. Lord Granville took, for the second time, the Colonial Office, and this was his last office as minister. In spite of much adverse criticism, and not a little unjust blame, Lord Granville's spirit never flagged, and his temper rarely showed signs of friction. But he ceased more and more to take a conspicuous part in politics for some time previous to his death. Besides his political offices and his connection with the Exhibitions of 1851 and 1862, Lord Granville had gone in 1856 to St. Petersburg as Ambassador Extraordinary at the coronation of the Czar; and in the same year he had been elected to the Chancellorship of London University. He was made a K.G. in 1857. Lord Granville was for many years intimately connected with the iron trade as an ironmaster and colliery-owner, having carried on the Shelton Bar Iron and other works in Staffordshire and Shropshire. In this capacity he naturally took a great interest in the proceedings of the Iron and Steel Institute, and frequently attended the meetings in London. The last meeting he attended was that held in May of 1890, when he gracefully proposed a vote of thanks to Sir James Kitson, the then President. He was one of the original members of the Institute. Lord Granville was twice married — in 1840 to Maria Louisa, only child and heiress of Emeric Joseph, Duc de Dalberg, and widow of Sir Ferdinand Acton, whom he lost in 1860; and again, five years afterwards, to the youngest daughter of Mr. Campbell of Islay, who survives him. He is succeeded by his son Granville George, Lord Leveson, who was born in 1872.